Sony's 2018 OLED TVs, the AF8, started shipping today in the US. The 55" model costs $2,800 while the 65" costs $3,800 (note: these are affiliate links to Amazon). 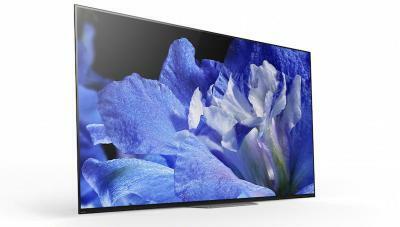 The AF8 is a premium TV series (55-inch / 65-inch) that feature Sony's X1 Extreme picture processor, Sony's Acoustic Surface tech and Google and Amazon voice recognition technologies.